Morgan, sophomore, has recently joined the Spotlight team this year. She has an aptitude for writing, and enjoys writing about hot topics going on in the high school. 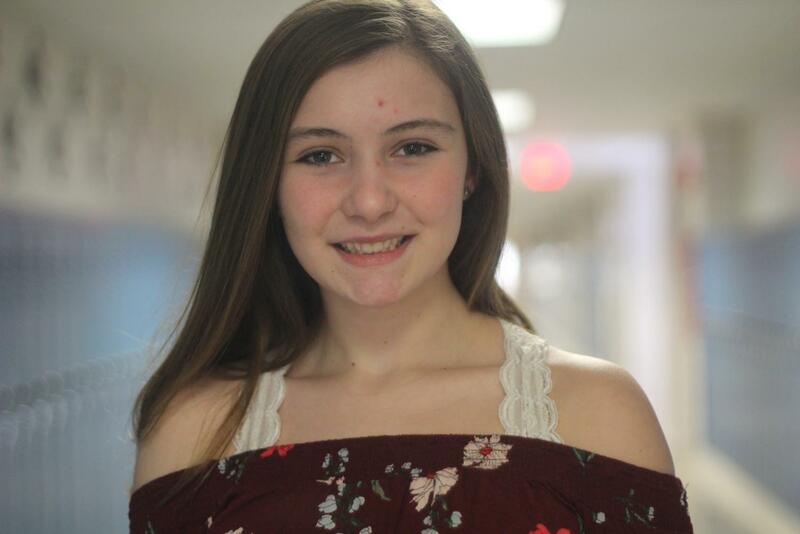 Morgan looks forward to broadening her writing skills and informing the student body about the going ons around school. Morgan has an interest in social media and using social platforms to spread a story. Morgan plays on a 16s Volleyball team for a Western Mass club league. She enjoys watching history documentaries and playing with her dog, Ollie. Morgan loves eel and avocado sushi, and eats it even though she’s terrified of salmonella. Morgan’s favorite book is The Perks of Being a Wallflower and loves the movie adaption of the book!